Polyscience MX Immersion Circulator – What a beauty! 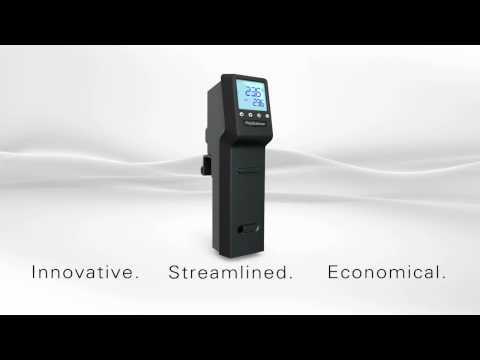 Polyscience launched on Youtube a video about their new Immersion Circulator, the MX version. The design of this equipment is fantastic but will this immersion circulator be affordable for sous vide chefs and individuals? Except this video, no information is available on the net. If you have some, feel free to tell us!